Gromit Animation Competition Winner Announced! 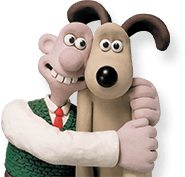 Gromit Animation Entries We Love! We had so many outstanding entries into our Gromit animation competition last month that we wanted to share some with you for inspiration…..
Take Part in an Aardman Model Making Session at the Royston Arts Festival! Visit Royston Art’s Festival on Saturday, 21st September to learn how to make your own Shaun the Sheep or Gromit model with the help of an Aardman model maker!